Testimonials from our clients. Jobs Ranging from tile installation and grouting to door installation and many other general construction tasks. Anyone thinking of remodeling kitchen, bath or both....Save yourself valuable time and go to Celtic first to get your free estimate. We consulted 7, yes s e v e n, different companies- locals and big box stores. Not one in Brevard can touch what these guys are able to provide. Their years of experience and professionalism go a long way toward providing complete satisfaction and at a price that was considerably lower than what anyone else was able to offer. The 2 experienced professionals from Celtic did all the work...Everything....from redesigning our kitchen, to installing all the plumbing, changing out electrical boxes, tiling bathroom floor, installing tub, shower, faucets, beautiful tile backsplash, hanging kitchen cabinets...well, everything. There was no need to bring anyone else in on the job... A factor that will save any potential customer thousands with a remodel. I am taking the time to write this recommendation because my husband and I were so relieved and happy to get such outstanding work done. March 17th 2014 Robert & Randy were right on time. They came a day earlier (with notice) because I was leaving the following week on vacation and wanted to be sure they finished on time. Demolition was done very quickly. The tile work was top notch. I absolutely LOVE the vanity unit, granite top and undermount sink. They finished the work in 3 days, which was amazing to me. I will definitely call them for other projects around my home. September 30th 2014 We got a quote from Kitchen Bath and Tile by Celtic Home Improvements. They will be doing a kitchen remodel. Member Comments: They have not done the work yet. They are starting in the middle of October. He was very well. He presented himself well. They were very good when they came out to see us. Press Release FOR IMMEDIATE RELEASE Celtic Home Improvements, LLC Receives 2015 Best of Melbourne Award Melbourne Award Program Honors the Achievement MELBOURNE April 3, 2015 -- Celtic Home Improvements, LLC has been selected for the 2015 Best of Melbourne Award in the Kitchen Remodeler category by the Melbourne Award Program. Each year, the Melbourne Award Program identifies companies that we believe have achieved exceptional marketing success in their local community and business category. These are local companies that enhance the positive image of small business through service to their customers and our community. These exceptional companies help make the Melbourne area a great place to live, work and play. Various sources of information were gathered and analyzed to choose the winners in each category. The 2015 Melbourne Award Program focuses on quality, not quantity. Winners are determined based on the information gathered both internally by the Melbourne Award Program and data provided by third parties. About Melbourne Award Program The Melbourne Award Program is an annual awards program honoring the achievements and accomplishments of local businesses throughout the Melbourne area. Recognition is given to those companies that have shown the ability to use their best practices and implemented programs to generate competitive advantages and long-term value. The Melbourne Award Program was established to recognize the best of local businesses in our community. Our organization works exclusively with local business owners, trade groups, professional associations and other business advertising and marketing groups. Our mission is to recognize the small business community's contributions to the U.S. economy. Robert and his staff are wonderful. They work quickly and efficiently and always leave the space clean at the end of each work day. I really appreciate Robert's input on the various aspects of the job. My kitchen looks great. I would hire them again for other projects. The work was performed in a timely and professional manner. Robert and Randy replaced an exterior door and frame for me today that I purchased, They did a great job and cleaned up after they were finished. The project took about 4 hours to complete and they did not waste any time, They completed the job for the agreed upon estimate and I am VERY Happy with their work and will recommend them to my friends and family. Thank you Robert and Randy for the nice job that you both did for me. This company took multiple house repairing works for me. I’m super satisfied with their professional manner and quality works. Most importantly, I felt very comfortable and pleasant through the entire process. I am very happy to finally find out some one to rely on. He was on time, price was better than others quoted and he did a fine job. Also helped me find someone to repair some screen windows. Robert and Randy completed the job in one day. They arrived on time and cleaned up after themselves. I would recommend them to any of our friends. Resonded to our request for an estimate quickly, provided a fair estimate, completed work on time and on budget. very reliable and honest. kept in touch with us, did quality work, completed job before other contractors even got back to us. highly recommended. Very friendly, did the job on their first visit, i.e., didn’t have to schedule a date. They followed up with a thank you note — old-fashioned courtesy which you don’t see much anymore. Rob and Randy are such a nice guy. They work hard and did the job so nice. They always keep everything clean after finishing their job which I really appreciate it. I’ve hired other handymen before and I found that they’re a lot better than the people I used before and they know what they’re doing. Everything I’ve requested them to do, they did it exactly what I wanted. Even something that I didn’t ask for, they did it for me too. I am glad to have them as my handyman. I will highly recommend to anyone who is looking for a handyman who can do all work for the house. I will definitely hire them again. Thanks for all the hard work. Great experience. I will recommended Randy to all my friends and family. Flexible, personable, reliable and prompt. Will definitely hire again! These guys are great! Robert and Randy were always prompt and courteous and willingly worked around my schedule. They were easily accessible and always called when they said they would. The workmanship on the tile and brick around my pool was outstanding. Their attention to detail and conscientousness were well apprectiated. I highly recommend them. They were prompt and courteous and did a good, thorough job. Does a GREAT job and very Honest company!”I have had nothing but excellent service and honesty from this company. They can repair anything,They were very helpful, prompt and reasonable. Excellent crew with the know how to get things done. Very experienced. They were right on time. Very professional. Got all the word done in less time that we thought it would take. Cleanned up all debris after the job. I’m very happy with them and will hire them again! 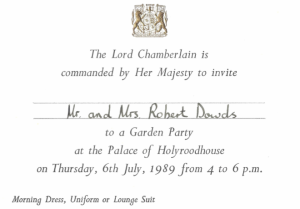 Robert was prompt, polite and knowledgeable. I will call him again when another project comes up. He was very patient with me and all my questions. Gave me an estimate right away, and got it done like he said he would. Maybe some think “well, yeah, its his job” but he actually did it like he said, and thats not something everyone does on their own. Great very satisfied, very nice, what else is there to say. Excellent will use in the future again being that I am a claims manager I need “HONEST VENDORS” that represent us properly and proper. Vendor is representing Allied/Coleman American Moving Services! We are a established over 100 year company with outstanding reputation! Robert & Mike arrived on time for our estimate. We had damage to our chimmey housing. They started work the same day, finished the job in three & a half days, and cleaned up after them selves each day. Their work was excellent & done on time. I would recommend them to any of our friends & neighbors. Made a little mistake with the drill but everything worked out. Small job, contractor responded quickly and efficiently and was very reasonable. I have them on file for future project needs. Robert is very personable, conscienous, trustworthy, reliable and timely. His prices are reasonable and he cares about his customers. 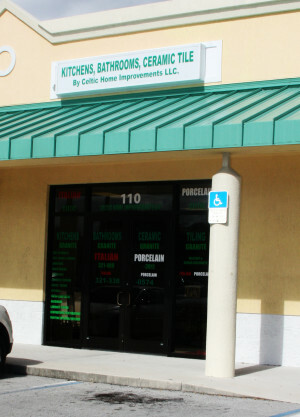 I am very pleased with the work done by Celtic Home Improvements, LLC. They did everything very professionally and in a timely manner. Thank you. I was very pleased with the Celtics Home Improvements. They performed an excellent job. I wholeheartedly would refer them to anyone. Excellent work ethnics. Called right away and came by the next morning – readily available to do the work needed – my kind of handyman! On time, hard working, neat & very clean, very good value, would hire him again in a heart beat. highly recommend.